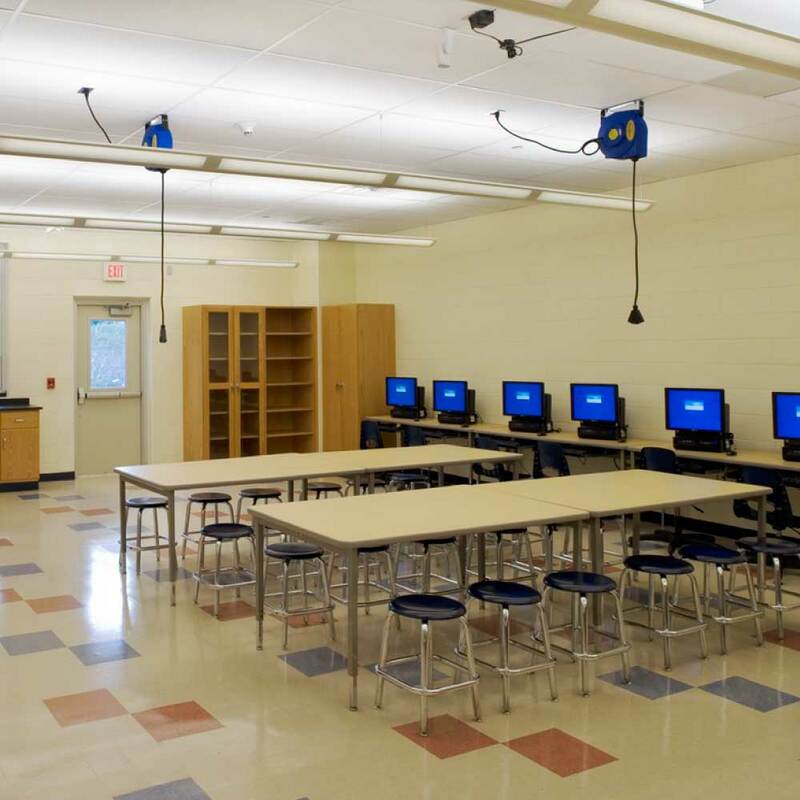 The Piscataway High School addition was designed to join the two existing High School buildings into one large facility. The addition created over 80,000 sq.ft. 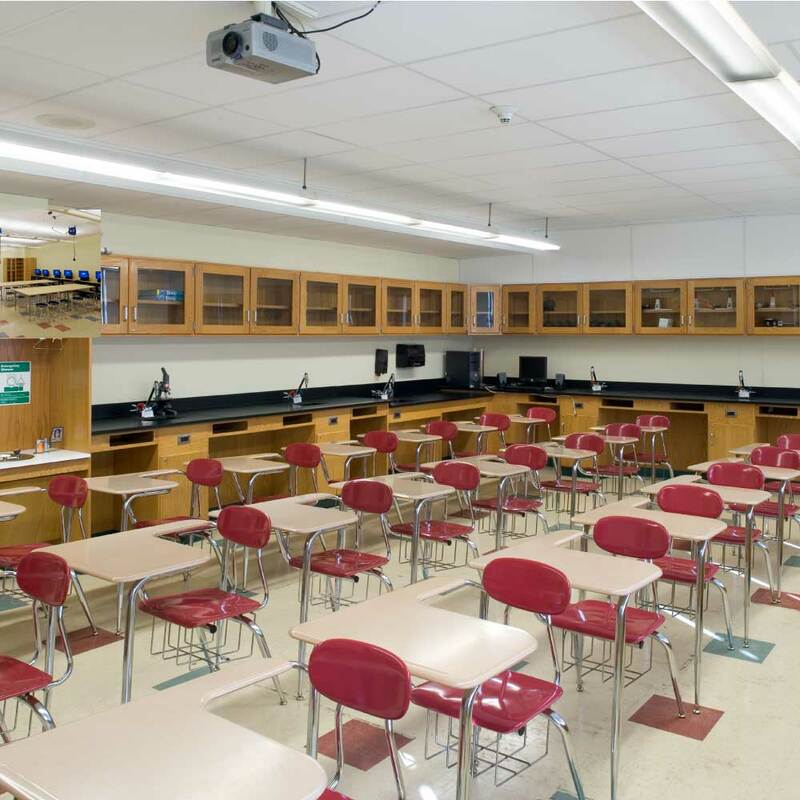 of new space and includes a Science and Art Technology wing complete with 5 state-of-the-art Chemistry, Biology and Physics Labs with fully equipped prep rooms. This wing also contains 5 new art classrooms and 2 new technology classrooms. 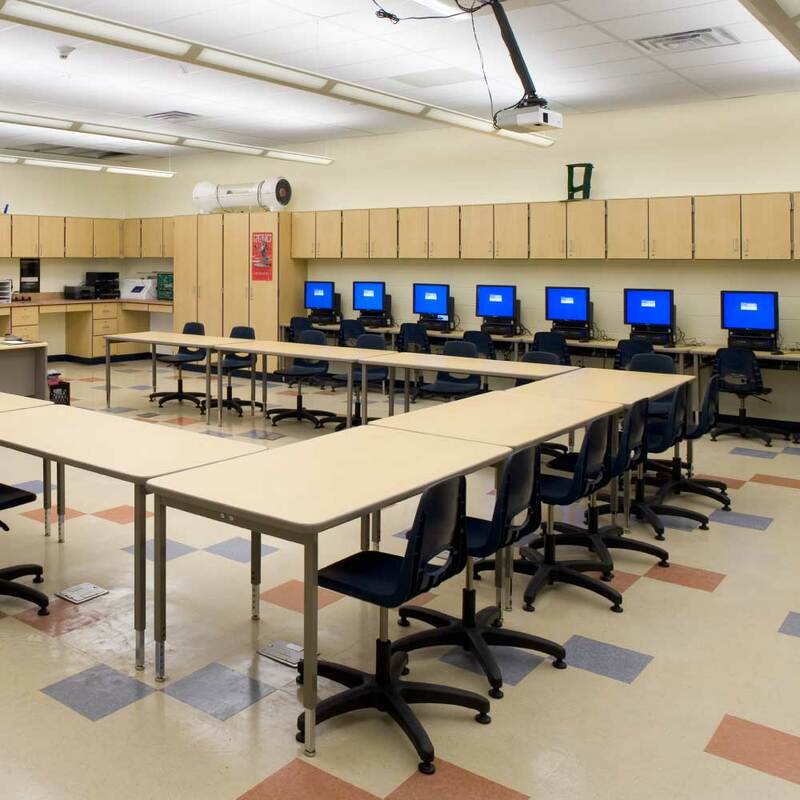 The Art Classrooms will afford Piscataway students an opportunity to combine the latest computer technology with their arts studies in new graphics, ceramics and photography labs. 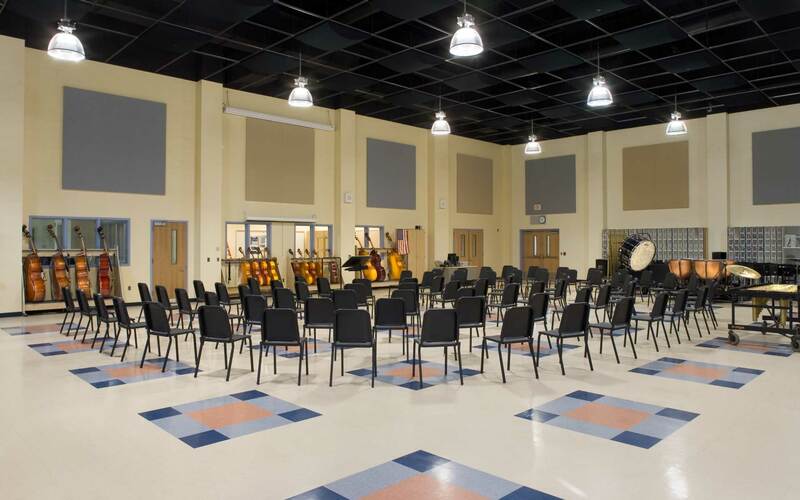 Also included in the new addition is a performance quality music practice complex with a Vocal Music Room for 300 and an Instrumental Music Room for 200 pieces. The music complex also has multiple practice rooms and a computerized music composition lab. The final component in the addition is a much needed auxiliary gym with expanded locker rooms and equipment storage facilities. 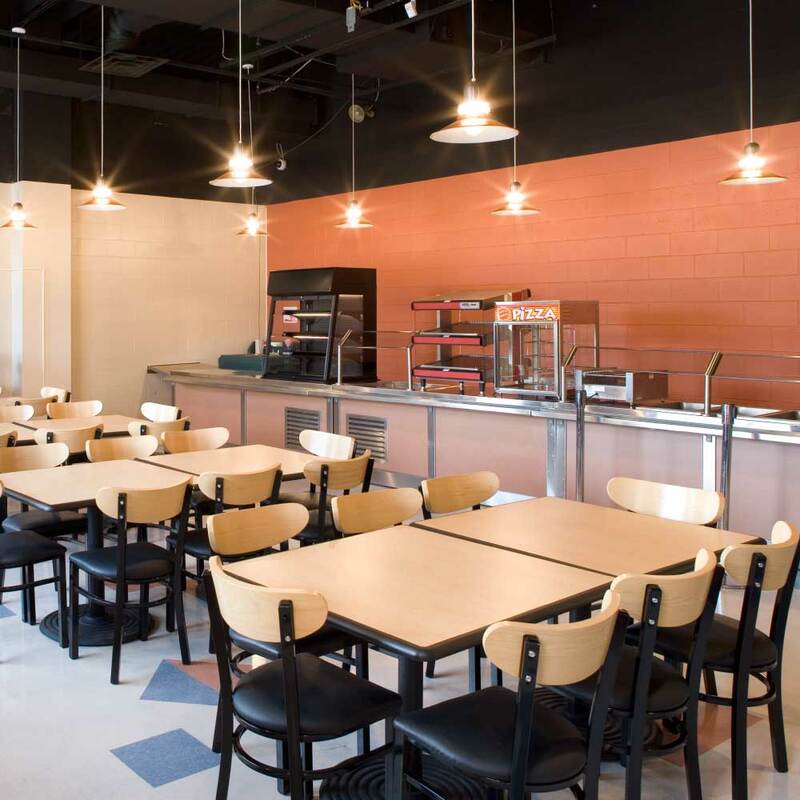 The existing buildings also received renovations including 35,500 sq. 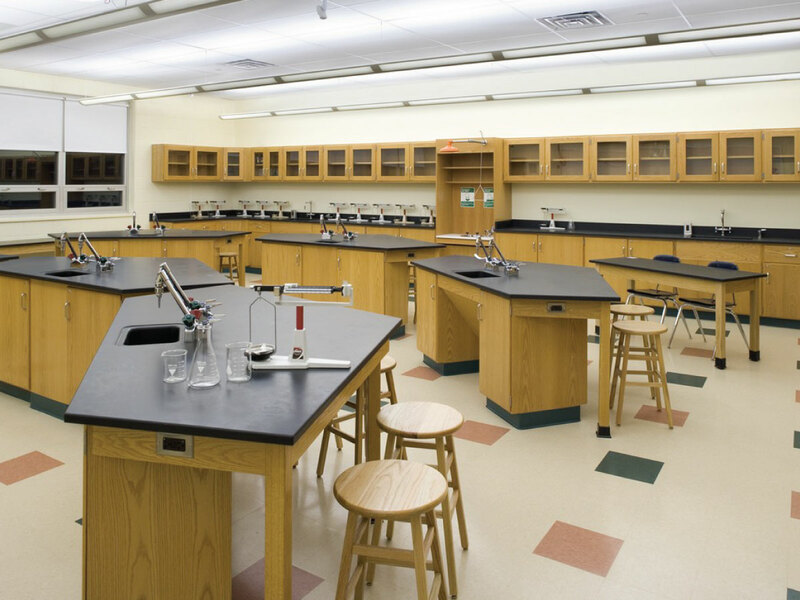 ft. of upgrades to existing Science, Art, SGI Classrooms and Administration offices. A new T.V. and Radio studio complex centralizes the communications programs that were previous scattered throughout the two previously separate buildings. The complex will also be used for recording events held in the new music complex.